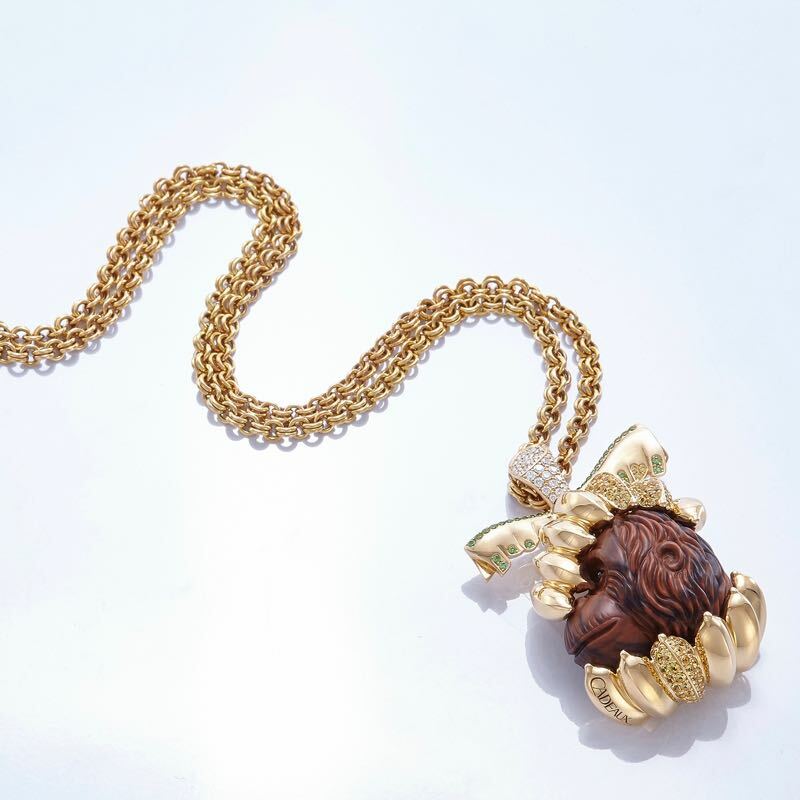 Pendant Orangutan. 2017. A life-like carved Orangutan head in “Mahogany” Obsidian is at the center of this creation. 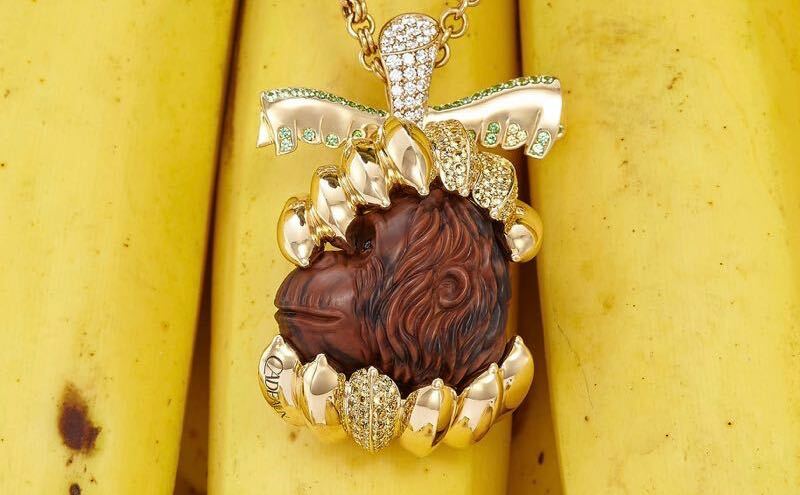 The carving is set into an 18 Karat yellow gold base styled in the shape of a bunch of Bananas, partly set with African green Tsavorites and yellow Sapphires. The hoop is made of 18 Karat rose gold set with Diamonds, its shape inspired by Cadeaux Jewelry’s Hamburg collection. The “Mahagony” Obsidian carving is by master gemstone cutter Stefan Klein of Idar-Oberstein, Germany. Orangutans are great apes living in the rainforests of Borneo and Sumatra in Indonesia and Malaysia. Orangutans have reddish hair and live mostly in trees. They are among the most intelligent primates that build elaborate nests. They are solitary apes with bonding mainly between mothers and their babies who stay together for several years. Their diet consists mostly of fruit and their lifespan is around 30 years. All Orangutan species are critically endangered on account of their habitats shrinking and illegal trade. Human activities have caused severe declines in populations and ranges. Threats to wild orangutan populations include poaching, habitat destruction, and the illegal trade in wildlife.